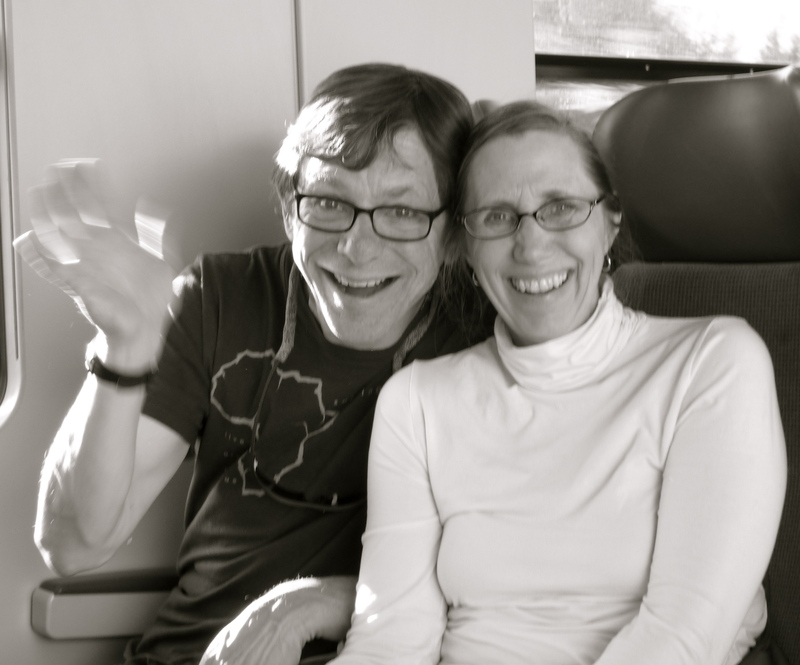 My parents, Richard and Donna, on the train to Prague. I know this observation won’t make me any cooler. As “the new English teacher”–a title that makes me feel like I’m teaching in a small homesteading town instead of an international Christian school–I could probably use some credibility points. But it’s been ages since being cool was my first priority in the classroom, and I really was excited meet his mother. I’m surprised, then, when he doesn’t grimace at me or slink into the sullen assumed deafness of teenaged mortification. Instead, he swivels his library chair around at me and nods. “I know. She told me.” His eye contact, maturely genial, is blinding. In these first weeks at BFA, as daily interactions start to color in the early outlines of my students, I’ve found myself looking back quite a bit. I search for reference of prior experience, lessons that worked or didn’t, management strategies for this or that situation. A surprising majority of my Seattle Public Schools experience is transferrable; I’m starting to gather that teenagers in groups behave similarly worldwide. Naturally there are faces and voices that I miss (and never more so than today, Ingraham’s first day back to school), but for the most part this reflection is professional. While students have remained a familiar constant in this equation, there have been variables. Technology perplexes, chapels surprise and fire drills impress. (Today, we actually lined up in silence and took roll outside during the first fire drill of the year. The whole school!) So far, however, parents have been the biggest variable. And as I always suspected, it seems to be the most important one of all. I expected more involvement here than I’d known at Ingraham. Instead of the chilling parade of disconnected phone numbers or undeliverable emails, I imagined dialogues of two interested parties. What I hadn’t expected were actual parents everywhere. Though the majority of our high school students live in dorms, some live in the community and many are the children of staff members. So they’re here, these parents. Asking questions, introducing themselves, helping me put names to faces, they are intentional about connecting to their kids’ lives. It shows. I see it in the way my students interact with each other and with adults, making an effort to treat one another with respect. I see it in how they talk about their families, with pride and ownership instead of wordless shrugging. I see the influence of parents, strong and powerful, in the way my students complain but still get their work done, well and on time and sometimes with the pride of completion. I see the great value of these parents in our building and community, so present in their students’ lives. Even the ones who are away are still paying attention, so that my students cite their influence in more than just address changes. And I think of my own parents, today celebrating their thirty-first year of marriage, who so gracefully balanced two jobs and three kids, making us feel loved, supported and heard no matter what stresses filled their days. It’s huge, a difference made sharp in contrasts. And all I can feel is thankful.